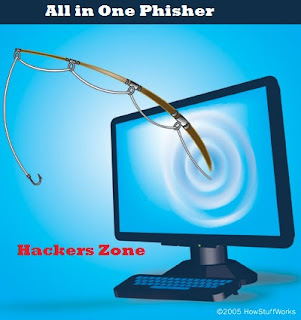 Phishing is known as the basic hacking trick to hack anyone's account Password. 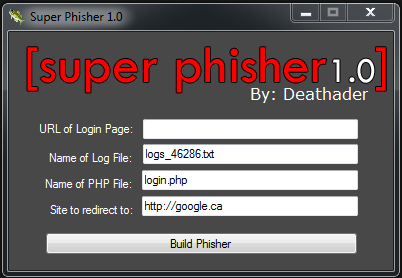 But it becomes very difficult to make phishing page for every site. 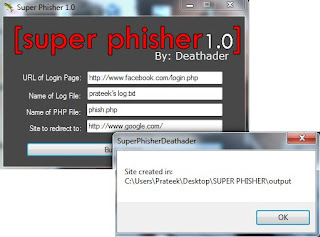 Today I'm giving you the best deal.Here's a s/w called super phisher which can create fake login page of any site you want. So Today I am going to explain you how to make your own Phishing page without any sort of copy & pasting but just with a simple click. Most of Hackers Zone readers demanded me to post this article, so I thought of posting it and make it available to all. 2) This is the Output folder where the fake page has been created. 3)These are the Fake pages which are created by the Super Phisher. Thanks for reading this article. If u face any problem, feel free to ask.